Friends don’t let friends suffer the effects of cortisol. Coaches and therapists don’t let clients suffer the effects of cortisol, either. Cortisol is a steroid hormone released in times of recent (acute) stress. Performance training is indeed one of those times. Cortisol is dumped into the system briefly. 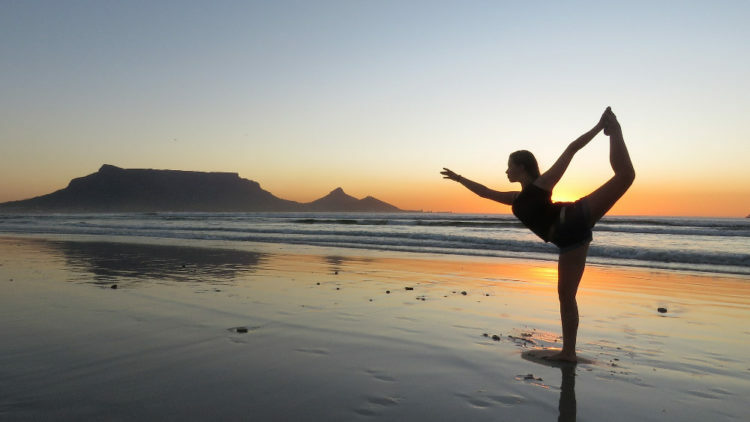 It then plays a role in homeostasis – bringing the body back to a balanced state. That’s a good thing. Persistent states of stress, however, affect the body negatively. Cortisol will stimulate an increased level of cytokines, and cytokines are not kind on movement – inflaming tissue, sensitizing nerves, and affecting remodelling of the central nervous system. Moving in ways that are both enjoyable and non-threatening are effective are playing a role in reducing cortisol levels. Pause and reflect: Consider that as a trainer, coach or clinician, your understanding of the above concepts places you at an advantage with your clients. When attempting to guide performance, what might be the effect of your work on their altered states? Are you pushing them further into those states or coaxing them out? The buffering behavior of improved coping skills is an essential element of using mobility and stability to support performance. Corrective exercise is an opportunity to manage mistakes at the edge of ability. The more opportunities you can provide in training to match the skills of movement to the challenges that require movement, the more you will have proven improved coping skills. In turn, this can improve their perception of health as it pertains to movement. When we dumb it down, performance as an output – as a pattern with capacity – is a response to inputs into the peripheral nervous system, via receptors in tissues, processed and coordinated by the central nervous system. Ill health, fatigue, poor nutrition, negative emotional states, dysfunctional breathing and restricted movement are examples of many states that can affect these receptors. It’s no wonder that EXOS, the global leader in human performance, has four pillars – movement, mindset, recovery and nutrition. When you claim to enhance performance, or support performance athletes, you need to understand the outputs you support are expressions of how the client processes internal and external cues. 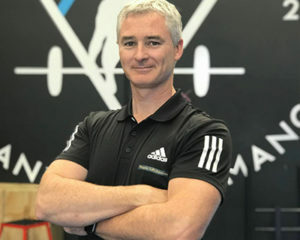 Luckily, as trainers, coaches and clinicians, we get to influence those outputs directly through mobility and stability. In fact, the first example we must improve, the peripheral sensory inputs, can be done by improving mobility. The sensory inputs drive the nervous system. This neural drive is occurring all the time in training. It isn’t always detected by the nervous system appropriately. It might require more pressure or more strain to stimulate receptors due to elevated receptor thresholds. This can delay signals, reflexes and lead to delayed or inappropriate response to stimuli. The receptors might have low thresholds, leading to less pressure and strain stimulating receptors – thus desensitization may be required. Pause and reflect: How might you improve neural drive, i.e. input? To desensitize the nervous system inputs, common techniques include stretching, facilitated breathing or indeed any method of modulating sensory stimuli (auditory, visual, meditation, physical – soothing touch; warmth or cold). To up-regulate the nervous system inputs, common techniques include dumping more sensory stimuli into the system (auditory, visual, chemical e.g. caffeine, physical e.g. slaps on the skin, warmth or cold). Luckily both up-regulation and desensitization can occur through improving mobility (where it is less than optimal). Skilled therapists use any technique to put in to the system, i.e. input, that which changes the mobility of joints and tissues. This occurs primarily by modulating (changing) signals. For example, if I apply pressure with a digit, to a sensitive nodule within a muscle, at just the right pressure so that the individual feels discomfort bordering on an ache or pain, I have an opportunity to alter the sensitivity of the tissue. This I can do by backing off the pressure to signal that I intend no harm. Intermittent gradual increases in pressure, coupled with cuing of diaphragmatic breathing and systemic letting go of tension alerts the individual that the pressure is non-threatening. This fine application of pressure puts into the system (i.e. the organism that is an individual) a change to the threat level of the local tissue. This can change sensitivity of the nodule. This neuro-modulation includes the techniques of tissue and joint mobilization/manipulation. Neuromodulating techniques also include stretching. Sub-categories of stretching that are best for neuro-modulation include PNF (contract-relax, hold-relax, active-isolated stretching). The PNF methods work via reciprocal inhibition to improve tolerance to tension, creating mobility changes in a short period. This change creates an improvement in mobility, making it easier to get into position for the required pattern. Every improvement in tissue pliability or joint gliding, sliding or rotation enhances the ability to detect movement. An improved ability to detect movement means more data for the central nervous system to use to process to an improved pattern of movement. Mobility can be categorized as physiological and accessory. 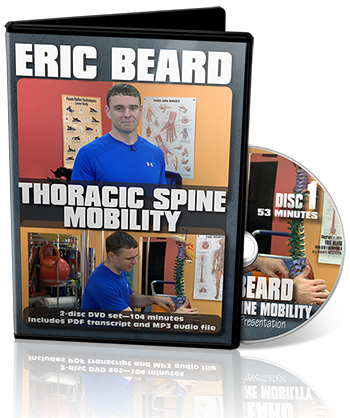 Physiological mobility is that which an individual can actively do without aids. For example: active dorsiflexion in half kneeling. Accessory mobility includes the joint and tissue glides and slides that require passive intervention – such as manual therapy (massage, mobilization, manipulation) or aids (augmented tissue devices/tools). Of course, there are good and not-so-good ways to enhance mobility. To improve the sensitivity of mechanoreceptors to input sensory information to the central nervous system. The receptivity is affected by ill health or injury to these tissues in the peripheral nervous system. Consider the terminal nerve ending that is caught in scar tissue. The mechanical stress of stretching a scar can cause signalling to the central nervous system that can affect movement. The fluid ooze that occurs during injury, the mechanical stiffness to tissue movement as well as compression of blood vessels and nerves all have signalling issues to consider. This same tissue ooze, containing inflammatory chemicals, or even adrenaline from perceived stress, lowers the threshold to firing of receptors and even rouses sleeping free nerve endings that only awaken in the presence of inflammation. There even exist acid sensing ion channels in nerve receptors that send signals when pressure on tissue forces fluid out, lowers the pH and increases acidity of the tissue. These tissue receptors are also affected by ill health or injury to the immune system or central nervous system. Each nerve has a membrane. In many nerves, this membrane is insulated, with intermittent spots along the membrane where the insulating material, myelin, is not present. At these sites, ion channels embed themselves. These are sensitive to mechanical, thermal and chemical changes. In nerve tissues that are embedded in tight muscle and fascia, it’s not inconceivable to think that the myelin might be rubbed off by the tight tissue, exposing more membrane for more receptors. Pause and reflect: Are you addressing the mobility of tight tissue? Might you be rubbing off the insulating material of nerve tissue by your methods? 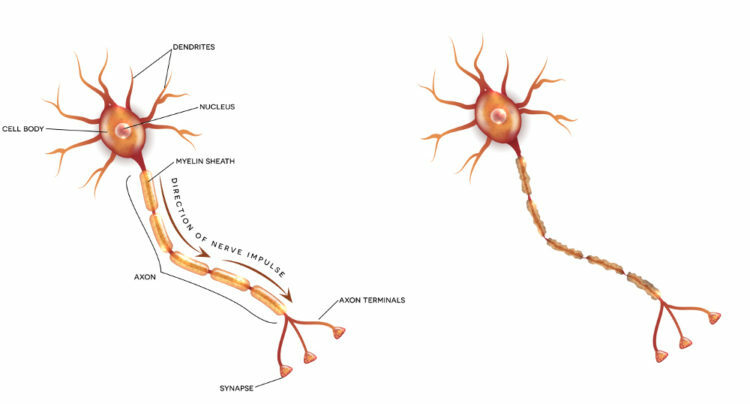 The nerve endings, without their myelin insulation, are sites that the central nervous system can load up with whatever ion receptors are appropriate for protection. Most ion channels have a half-life of two days, meaning in non-threatening circumstances, nerve endings (that contain large numbers of ion channels that make the nerve sensitive) can turnover those ion channels and reduce the number in the nerve ending membrane. This is where mobility plays role. The effect of non-threatening movement includes remodelling of nerve receptors to mechanical stress-induced nerve signalling. When movement is threatening, such as in states of anxiety and stress, the central nervous system struggles to inhibit the signals from sensitive nerve endings in tissues of the skin, ligaments, muscles and tendons. Another time that movement is threatening is in chronic pain states. In this state, longer muscles (prime movers) are prone to being more active in some parts of the body, while shorter muscles (stabilizing muscles) are prone to being less active. Remember, there’s more need to move powerfully when you’re threatened. You don’t have to be a friend to your clients, but you should be friendly to their organism. Do you have a something that keeps locking down no matter how much you foam roll it? Why is that happening? Is there a way to permanently fix it? Perry Nickelston addresses this problem of the six most common mobility restrictions... and what to do about them. Listen in as Gray Cook considers the various ways a mobility problem might begin, and some of the best ways to combat these problems, depending on the underlying cause.